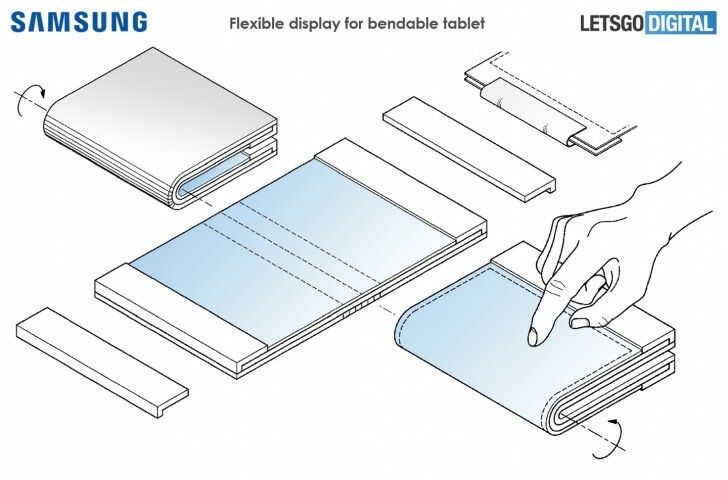 Samsung is working on foldable phone - that much is no surprise. What might be more intriguing is the following patent, that imagines a flexible tablet that will bend both inwards and outwards to halve the footprint. The patent was filed with WIPO back in April 2018 and got approved in October. Its description says “Display Device” and reading further along, you learn that the gadget will adapt its user interface to the orientation or the way it bends. Both ends of the flexible panel will have aluminum-magnesium alloy that will stick to each other, probably with some kind of magnet. Samsung already introduced 14” rollable OLED panel at SID Display in Los Angeles, USA, back in the last week of May. With the approval of the new patent, the Galaxy X is a step away from being a sci-fi myth and slightly closer to becoming a reality. Dont know if you already know this but Samsung will announce their foldable phone on November 7 this year. There is no more waiting year by year. Dont die yet before it happened. Oh that's great to know that, it must be have some technical issues so postponed foldable phone year by year. Maybe next generation launch but not in your generation, let see.